We are pleased to announce several new products from our SS Audio line. Hard to find vintage speakers are now brand new, in stock and ready to ship! Every once in a while speaker manufacturers do something special and design a woofer, midrange, or tweeter that becomes a classic. These speakers are then used in many models and sometimes across multiple brands. Often times to achieve peak performance these units feature proprietary specifications and sizing. This so forces you to go back to the manufacturer when a speaker fails because no generic speaker is going to made to the same size or spec. Fast forward 20 years and you might find out you own one of these classics. Unfortunately after all this time chances are your speaker is no longer in production. Normally the next step would be to get on eBay and bid on a used working (hopefully) unit. The problem with that is the speaker you purchase is still 20 plus years old and usually looks the age. 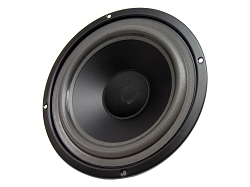 Thanks to SS Audio you no longer have to buy used, dented, replacement speakers. SS Audio has released six new products built as direct copies from some famous classics including, Boston Acoustics, JBL, and Peerless. These are brand new in the box units built as direct copies of the original manufacturers design. 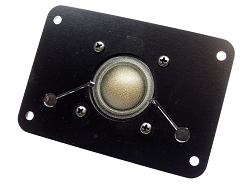 T-035Tia: This is a direct copy of the famous 035Tia used by JBL in several popular home and pro studio monitors for over 20 years. This tweeter offers precise response, high efficiency and great JBL sound! T-LE25: This is a direct copy of the famous LE25 used by JBL in several popular home and pro studio monitors for over 30 years. This tweeter offers precise response, high efficiency and great JBL sound! M-LE52: This is a direct copy of the famous 5" cast frame midrange used by JBL in several popular home and pro studio monitors for over 30 years. This midrange offers precise response, high efficiency and great JBL sound! 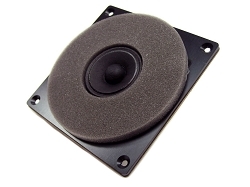 T-K010DT: This is a direct copy of the famous Peerless K010DT (810665) silk dome tweeter used in several popular home and pro studio monitors for over 30 years. 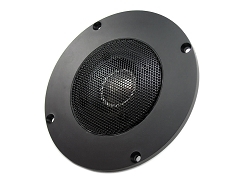 This tweeter offers precise response, high efficiency and great sound! 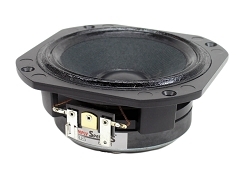 W-875: 9" frame woofer fits the Boston Acoustics A60 Series II, A70 Series II, and many more! This woofer was used in many Boston Acoustics systems. A standard 8" woofer does not fit the cabinet. The W-875 will give you a perfect fit and great sound! FSK-LE25: These foams rings are a perfect for the famous JBL LE25 tweeter. 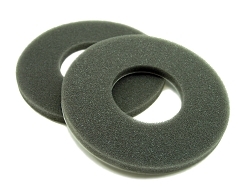 Replace the old rotted foams foam on your tweeters. Peel and stick design for easy installation.